Looking for the easiest & efficient way to integrate Australia Post (or Auspost) with WooCommerce shopping cart? Here is the solution! Using this plugin, Shop owner can easily integrate WooCommerce Store with both Australia Post eParcel and StarTrack accounts. ELEX WooCommerce Australia Post Shipping Plugin with Print Label & Tracking (Previously known as XAdapter Australia Post Plugin) is a WordPress/WooCommerce extension that helps you to automate Australia Post shipping by displaying shipping rates on cart/checkout page, track shipment from within the WooCommerce, pack items automatically into boxes, Print eParcel Label for contract customers and enable tracking. Step 2: Customer sees Australia Post shipping rates based on items in their cart before placing an order. Step 3: Pay Postage, Print Label and Generate Tracking info from within WooCommerce order page. 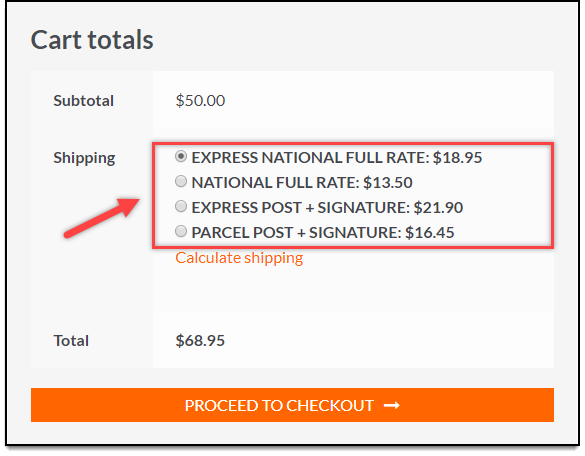 Based on the product weight, box dimensions, shipping destination, etc., this plugin fetches Australia Post postage rates for both domestic and international shipping services. If you have Contracted account, you can choose to access only contracted services. Print Australia Post eParcel shipping labels, both domestic & international from within WooCommerce. After logging in to the WordPress admin area, you can create a shipment by clicking the ‘Create shipment’ button on the right-hand side of the order details page. Shipment details would automatically be sent to the Australia Post online account, and then the shipping label would be generated, which you can print. Although you can create shipments in bulk in the WooCommerce Orders Page, you can use the bulk label printing add-on to create multiple shipments at once as well as print them in a single PDF file. 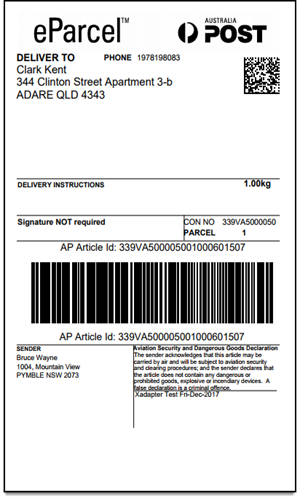 Postage is automatically paid on these labels using your Australia Post account. The plugin prints shipping labels with a tracking barcode. You should know that the printing shipping label is only available for Contracted accounts. 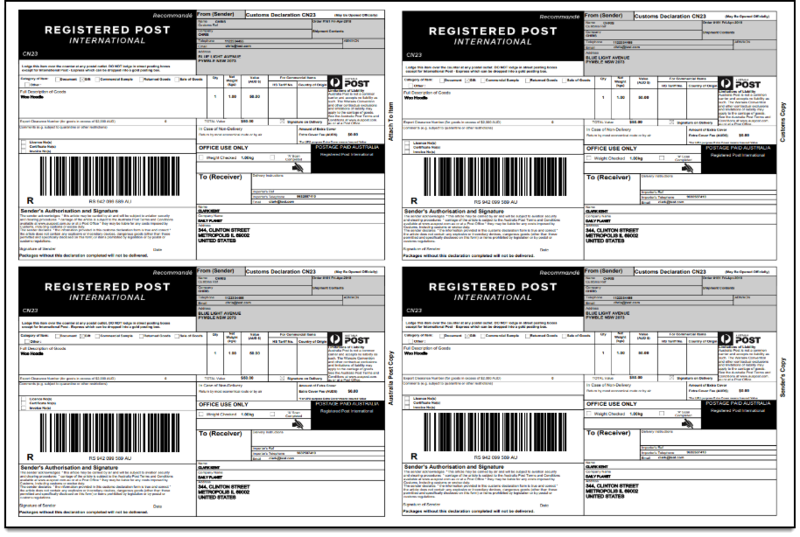 International shipping document contains four labels – One to attach to the item, one Australia Post copy, one Customs copy and one for Sender. 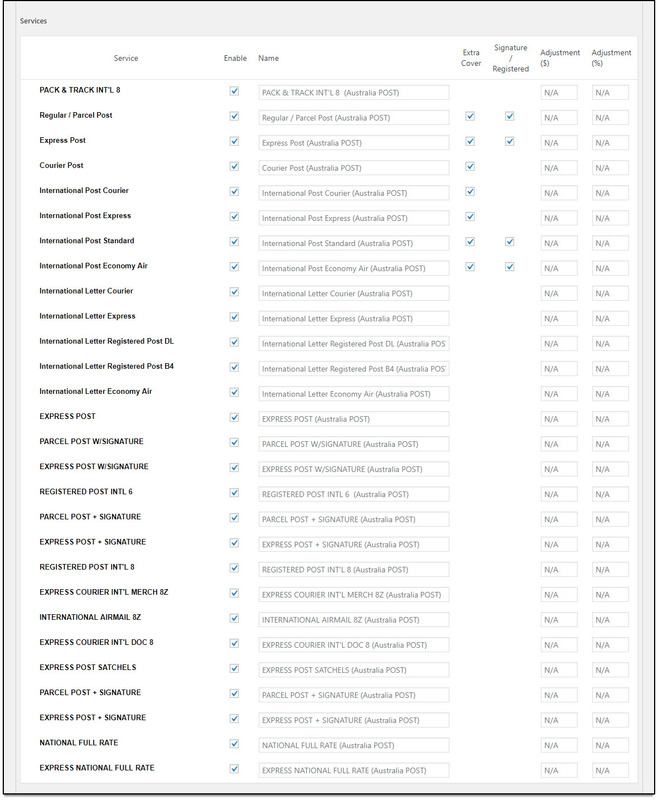 Once the shipments are created, you can easily generate an Order Summary / Shipping Manifest for the desired orders. This Manifest is basically used for Customs purpose while shipping globally. A single manifest can be generated for the group of Shipments happening on a particular day. Live tracking number gets added to customer order details. The plugin allows you to define custom tracking messages as well. 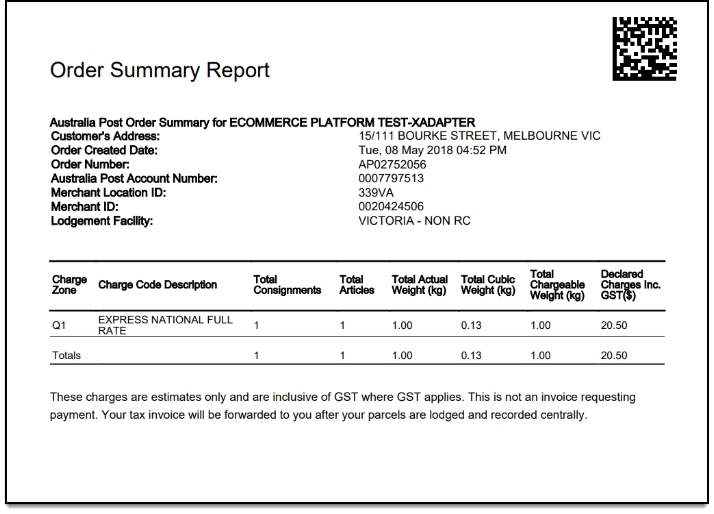 The plugin uses Australia Post eParcel service for contracted rates. The eParcel service is popular for its flexibility, efficiency, safety, and cost-effectiveness. Australia Post offers discounted rates for eParcel account holders. If you are shipping both domestic and internationally, you can opt for eParcel service. You can generate shipping labels for the orders placed using StarTrack services. You can also select the desired shipping service while creating the shipment. 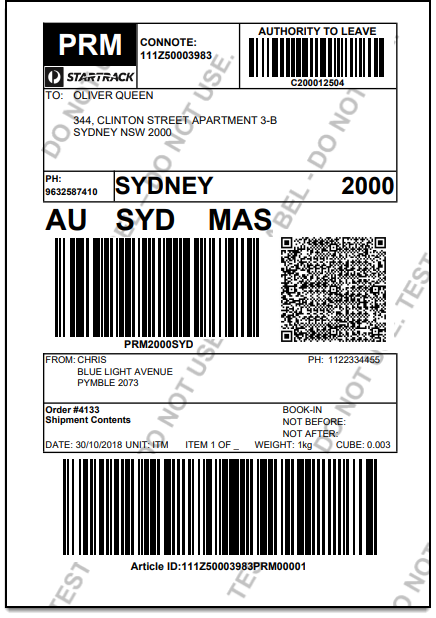 With the help of our Australia Post Bulk Label Printing Add-On, you can generate shipping labels in bulk and download them in a single PDF file. You can bulk print labels using WooCommerce Order IDs or Order date range. This saves a lot of your time on printing labels one at a time. 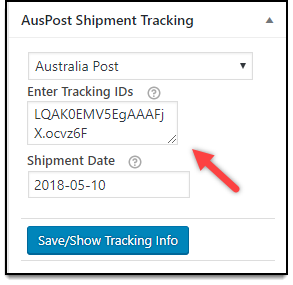 The ELEX WooCommerce Australia Post Auto-Generate & Email Labels Add-On makes your label generation task easier by automatically creating shipments, generating labels, and sending an email notification with the shipping label, for you and your customers. This saves your time on manually generating shipping labels. Thank you for a great plugin — I especially like the Tracking Code editor in the admin area!! — well done. The ALL TIME best plugins for shipping with in Australia. I have now purchased 2 plugins from Xadaptor (DHL & Australia Post) and the support has been amazing. The label printing feature for both DHL and Australia Post shipments has saved our staff hours of time! The support is above and beyond what you would expect from a wordpress plugin – their response time for any issues is outstanding. Couldn’t have done it without you. Keep up the good work, I will spread the word to my local Australian customers! Love the plugin, provides us with absolutely everything we need for our customers, both domestic and international. The biggest bonus for us is that it covers both parcel and letter rates, which gives us the flexibility we need to ship our product in various sized options for customers.Support, second to none. Prompt and professional!No hesitation at all in recommending! Will the tracking information be sent to the customer once the labels are generated? Yes. Once the labels are generated you need to mark the order as completed. The tracking information will be sent to the customer. Make sure you have enabled the email service enabled in the WooCommerce settings for order completion. Can I use only Product weight for calculating the shipping cost? Yes, you can use weight-based packing. But all products need to have weight and dimension in them since the API require at least two package dimension to be over 5cm. Can I offer flat rate/free shipping in the cart and use the plugin only for labels? Yes, you can disable the real-time rates option in the plugin settings and use the plugin only to create shipment labels. But make sure the order has some shipping option already selected in the order and the products need to have weight and dimension. Will the plugin work if my shop location is out of Australia? No. The Australia Post service works only if the ‘ship from address’ is Australia (AU). It will not work if you have a ship-from address outside of Australia. What are the print layouts supported out of the box? I have a thermal printer. Supported layouts include A4 & Thermal Label. It is mandatory to have HF-Tariff code for International shipments. How does your plugin handles this? We have a field to enter the HR Tariff code on individual product pages. Shop owners can enter & save HS number of the product so that international shipments are processed smoothly. Can we bulk print manifest for orders of the day? Yes, you can choose to print manifest in the WooCommerce menu and choose the date for which you want to print the manifest. Can I print labels for Satchel rates using the plugin? No. The Satchel rates option is available only for non-contracted users by AusPost API and to print the labels you need to have a contract account. Is it possible for the customer to choose insurance and signature option while placing an order? Yes, we have added Extra Cover option to choose the insurance option as well as the signature option in the shop’s checkout page. The customers can then choose to include those options at extra cost. Could the plugin print Labels in Bulk and Manifest all orders/labels into 1 manifest? Although the plugin can print order manifest in bulk, the labels can be printing using our bulk label printing add-on. Thank you Xadapter for providing a great plugin with all the features we need and the best professional technical support team providing Awesome customer care. Awesome plugin and support is very responsive and helpful. The ALL TIME best plugins for shipping with in Australia. I have now purchased 2 plugins from Xadaptor (DHL & Australia Post) and the support has been amazing. The label printing feature for both DHL and Australia Post shipments has saved our staff hours of time! The support is above and beyond what you would expect from a wordpress plugin – their response time for any issues is outstanding. Couldn’t have done it without you. Keep up the good work, I will spread the word to my local Australian customers! Love the plugin, provides us with absolutely everything we need for our customers, both domestic and international. The biggest bonus for us is that it covers both parcel and letter rates, which gives us the flexibility we need to ship our product in various sized options for customers. Support, second to none. Prompt and professional! No hesitation at all in recommending! Great plugin and support team!!! Highly recommend this plugin and the support is amazing. This a great plugin. Highly recommended. Would like the developer to work on adding standard box sizes so that we don’t have to add them manually. Great plugin and excellent support from the Xadapter team. Great plugin and support when I needed it was very timely and efficient. I’m very happy! Thank you! This is a great plugin and the Support turn around time is fantastic for a new growing business where downtime seriously hinders your business, This is the place to get your plugin..